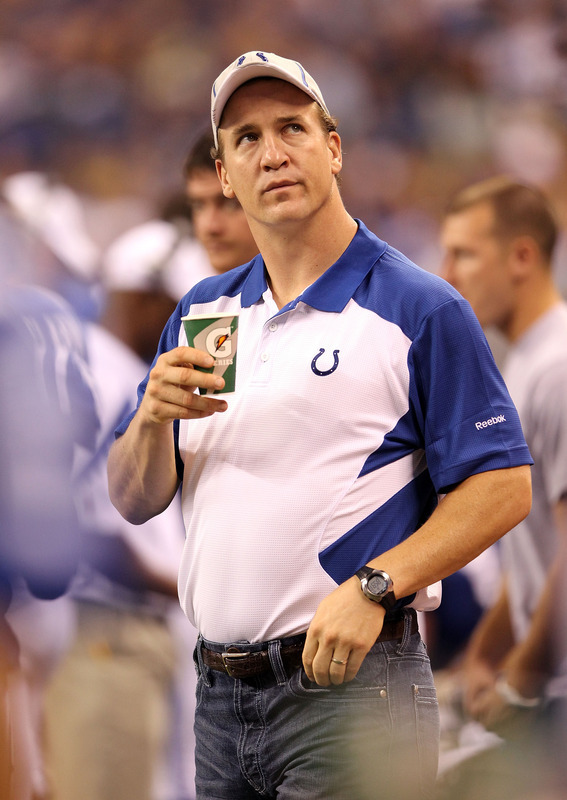 As we all figured, Peyton Manning will not be starting for the Indianapolis Colts in their season opener at the Houston Texans thus Sunday due to lingering effects of his neck injury. Since their replacement options do not inspire much confidence as well as the fact that we do not know how long Manning will be out, the Colts are in serious damage control now. The man that will be under center will be the veteran Kerry Collins, who was coaxed out of retirement just before week 3 of the preseason when it appeared that the potential of Manning not being able to go in the opener was higher than initially feared. But there are many problems at hand with Collins being the team's starter. While Collins can still throw the ball relatively well, he needs a good running game so the pressure is not on him but quite frankly the Colts' running game has been awful for years. Collins also has the athleticism of a fence post and could get killed behind the Colts' mediocre offensive line since he is not nearly as good at getting rid of the football as Manning is obviously. Plus he only has had a few weeks with the offense which is never a good thing but is really bad considering how intricate the Colts' offense is as well as the fact that Manning is essentially the offensive coordinator on the field, that's how smart he is. 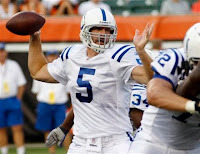 The Colts also have Curtis Painter waiting in the wings but anybody that has watched Painter play in game action, you would know that the team may be better off with the clueless coach Jim Caldwell under center. We simply do not know how long Manning will be out, which also could spell disaster for the club. They would hope he may be out for just the first week but the team cannot rush Manning back and risk further injury. The team gave Manning a massive contract in the offseason after all and the team will simply crumble if they lose Manning for a long period of time. We'll have to wait and see friends.